Welcome to Handy Rubbish, an experienced N8 rubbish clearance company that has been serving people for many years now to provide high-standard waste removal services in Crouch End. Whether you need help in disposing a couple of old furniture or need to empty out your loft or garage, our removal crew will help you achieve your goal in the shortest time possible and at the lowest price. 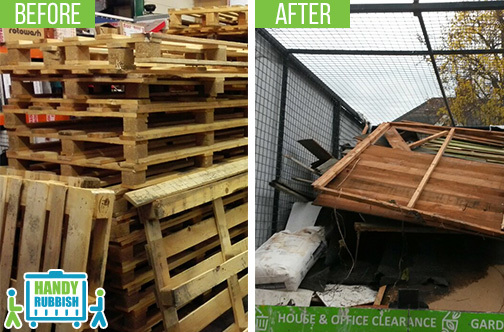 Whether you need the complete package of waste clearance service in Crouch End, give us a call at 020 3540 8282 and let us tell you how we work. Our customers are our main priority so our job is always scheduled to work around your convenience. We will remove rubbish from anywhere you want, at a time that suits you and we will always provide a no-obligation quote before we begin. We can provide man and van N8 rubbish removal, skip hire or any other alternative services. Our rubbish removal service includes rubbish clearance, house clearance, junk removal, commercial clearance, builder’s waste clearance, flat clearance and waste collection and rubbish disposal in N8. Our cleaning crew is friendly and polite and always ready to listen to what you want. We can provide same day service. You don’t need to think twice about giving us a call for your Crouch End waste disposal jobs. With so many famous houses in the vicinity, there is no reason for your house not to look in the best possible way. So give your living quarters and workplace a fresh look, sort the rubbish you mean to throw away and let our N8 waste collection specialists in Crouch End take care of the rest for you. Shopped around for a dependable junk removal company in Crouch End, one that I could easily afford. By a stroke of luck, I found these guys. They were easy to work with, and did what they could to make the process all the more easier. After researching several waste clearance companies in Crouch End I decided to book with Handy Rubbish in N8. They delivered a cost-effective service and I am more than pleased with the result! Lying in the Borough of Haringey, Crouch End covers the postcode district of N8 and is wonderful, picturesque valley that lies between Harringay in the east, Muswell Hill, Wood Green and Hornsey in the north, Archway and Finsbury Park in the south and Highgate in the west. Abound in greenery, there are several woods (Highgate Wood and Queen’s Wood) and parks (Alexandra Park, Finsbry Park, Priory Park, Crouch Hill Park) in the vicinity. The area is well connected by buses and railway services. The nearest Underground railway stations are Finsbury Park, Highgate,Turnpike Lane, and Archway whereas the Overground serves Hornsey, Harringay, Crouch Hill and Finsbury Park. A number of bus routes, including night buses N91 and N41, operate in this area. Crouch is also surrounded by area being home to a number of recording studios and music festivals. 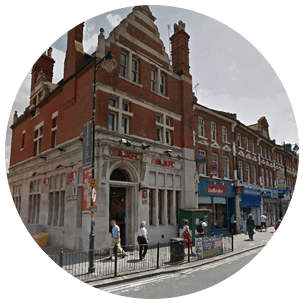 The Crouch End Festival, held in end-May to early-June, features a number of art exhibitions, drama, dance, film, poetry, photography and musicevents. The council is also encouraging ventures by running local campaigns in schools and creating the Mountview Academy of Theatre Arts in what was formerly known as Hornsey Town Hall. Crouch End has been graced by prestigious legends such as Bob Dylan and Stephen King and a number of literary and cinematic works.